Happy Thursday!! 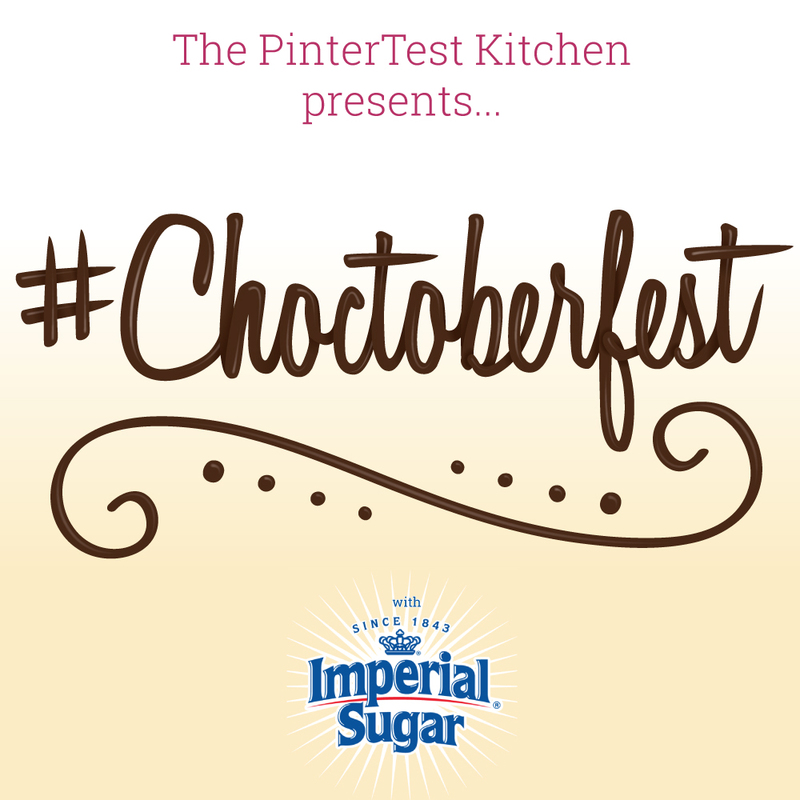 Today is not only the 4th day of our Choctoberfest celebration but it is also the third Thursday of the month. That means it is also the day that a group of wonderful bakers get together and share all their Bundt creations based on a theme chosen for that month. 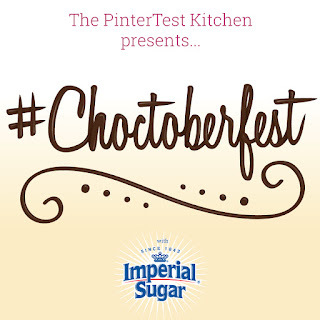 Choctoberfest is brought to you by the ladies over at The PinterTest Kitchen and several sponsors, including gold sponsor, Imperial Sugar. You can learn more about all of our sponsors and enter to win a great giveaway over at my Welcome Post. 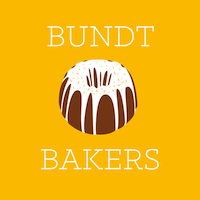 Bundt Bakers is brought to you by my friend, Stacy, of Food Lust People Love. Stacy started this great group and each month one of the members hosts the party and chooses a theme. This month's host is Felice of All That's Left are the Crumbs. Felice chose the theme orange for this month which played in perfectly with the Choctoberfest event that we are celebrating. I LOVE the chocolate/orange profile and knew that I wanted to make a Chocolate Orange Cake. 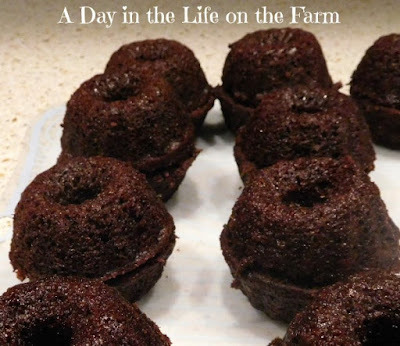 I thought that it would be a great idea to make some mini bundts and turn them into little individual pumpkins using orange frosting and green twizzlers. I even bought a mini bundt cake pan so that I could create this darling vision I had in my head. 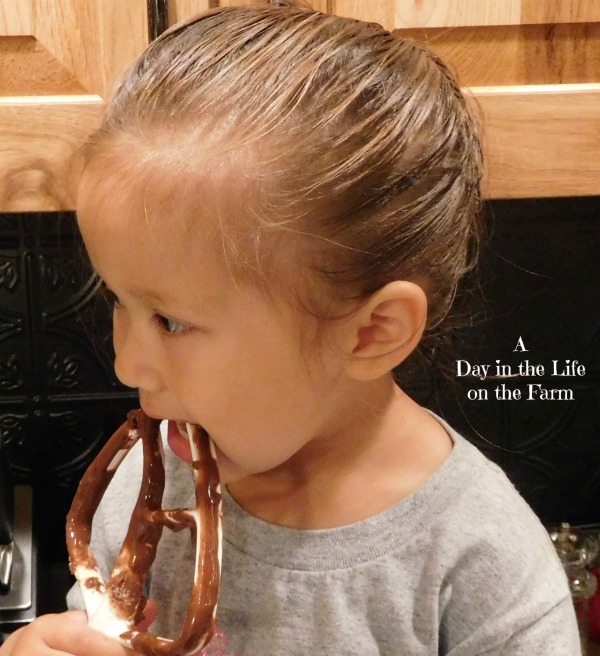 I enlisted the help of my adorable Little Sous Chef and we got to work making the batter and baking the cakes. They were going to be so adorable!! I was going to make 12 little pumpkins, one for each place setting at my daughter's birthday celebration. Then I couldn't find any green twizzlers anywhere. Well, I did find some on Amazon but they wanted nearly $20 for a package. Fahgeddaboutit! So I decided I would use mini tootsie rolls instead. I trimmed the bottoms and fit them together. They were going to be the cutest little pumpkins ever!! Frank made up a batch of his Mom's Buttercream Frosting and tinted it a beautiful orange color. Then I started frosting the cakes and remembered something......I AM THE WORST FROSTER IN THE WORLD!!!! I know there is a secret to putting on a thin layer so that the crumb from the cake doesn't smear all over the outside but I can't figure out how to do it. I worked on it until I threw down my spatula in disgust and stomped away saying things that can't be repeated on this blog. Frank shook his head at me saying "Ok, Miss Patience" and I directed more phrases towards him that cannot be repeated on this blog. I took a couple of deep breaths and a hot shower. When I was finished, calm and sanity had returned along with the realization that this was only baking and not the end of the world. 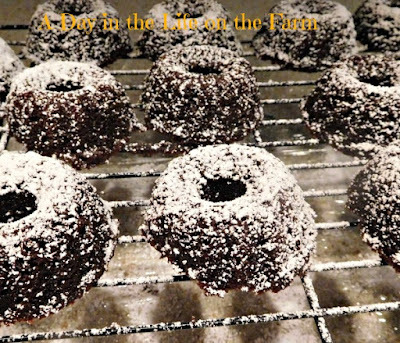 Out came the powdered sugar (thanks, Imperial) and Individual Chocolate Orange Bundts were born. While I didn't have individual pumpkins for each place setting, I still had a very nice display for on the dessert table.....And a lesson learned.....this blogging stuff is supposed to be for fun and relaxation....I need to keep it in perspective. I want to thank Imperial Sugar and Rodelle for supplying me with free products used in this recipe. All opinions in this and all my posts are purely my own. Combine the flour, cocoa, sugar, soda, salt and cinnamon in the large bowl of a stand mixer, fitted with the paddle attachment. Add the orange juice, zest, Miracle Whip, vinegar, and vanilla. Mix on low speed just until combined. 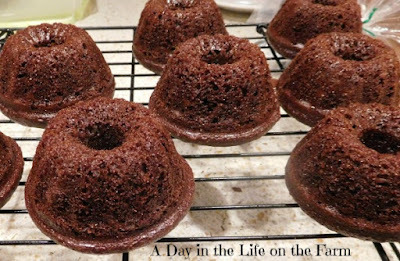 Divide the batter among two (12 cup) mini bundt pans that have been liberally treated with baking spray. Bake in a preheated 350* oven for 20 minutes or until a skewer inserted removes cleanly. Yes, it didn't work for what I had planned but I love these little cupcake size bundts. I love the picture with that child, so this cake must be yummy. Thanks Diego....she's my little sous chef. I'm sure all the party guests were thrilled with their own mini cakes even if they didn't look like pumpkins! I hear ya on the crumb coating and frosting in general. Sometimes it works, but it's usually a pain!! Haha Wendy, you really made me laugh! They look even better than little pumpkins right now, on their beautiful cake stand, like little elegant chocolate orange desserts ;-) And yes, you are so right, it has to be fun, and not give us so much stress! ;-) See you again next month! Looking forward to it. This is a great group. This blogging stuff for me is just for relaxation, so I agree with you about that just fun is what is important. That display for cakes is so cute! And I am pretty sure that the cake is tasty. It was tasty, thanks Kate and I think I picked up the little cupcake stands at the dollar store. 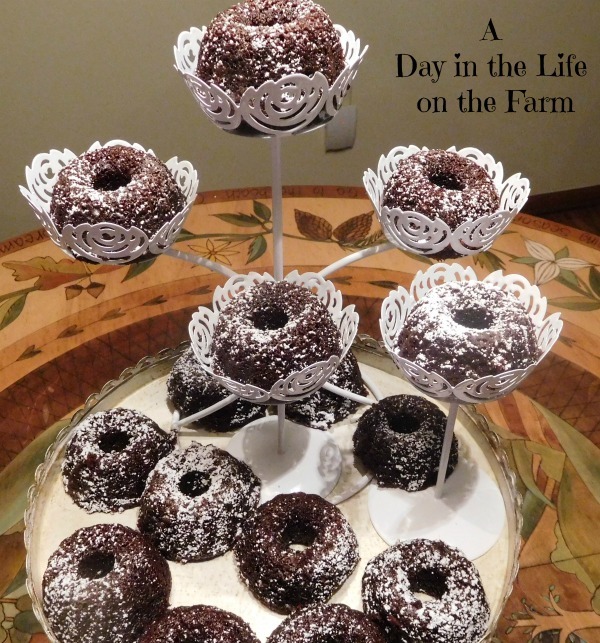 What a pretty little bundt cakes ! I have yet to use my mini bundt pan. Love that pretty cake stand too.